O que se segue é uma transcrição de texto original em Inglês. Para ler em Português, coloque o “pointer” do seu “rato” em cima de cada parágrafo e verá o respectivo texto traduzido. The Conference on Portuguese as a Language in the World System will enlist experts to draft an “action plan for internationalization” of Portuguese. But in fact, Portuguese is doing just fine, internationally: The number of speakers is soaring. That ought to be heralded as good news in Lisbon, and yet the ascendance of Portuguese – this particular Portuguese – is causing a certain disquiet in the former colonial power. The reason? Brazil. This country’s economic and political rise has given a once-fading Old World language new life, but on its own terms. Classes in “Brazilian Portuguese” in North America and Europe are packed with oil and mining executives, jewellers and retailers who need to be able to buy and sell in Rio de Janeiro and Sao Paulo. With Brazil’s surging middle-class travelling internationally, tourist destinations are rushing to bring in guides and texts to woo them in their own language. Writers from Brazil – 70 of them – were featured at this year’s Frankfurt Book Fair, the publishing world’s premiere event. And just this week, the popular website Buzzfeed announced it was launching new international versions in French, Spanish and Portuguese, with the latter geared toward a Brazilian audience. This bit of realpolitik is understood, if not relished, in Lisbon. Brazil’s linguistic clout was first felt in 1990, when diplomats from Lusophone countries held a summit to discuss that highly charged foreign policy matter, spelling. Brazil bullied the Lusophone countries into signing the Acordo Ortográfico – a treaty on how Portuguese words would be spelled. 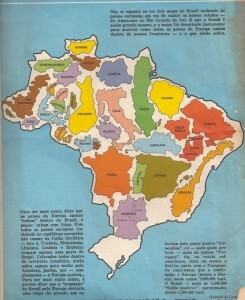 The new rules in large part reflected Brazilian usage. The accord was signed that year and finally implemented in 2009; countries had three years to make sure the new rules were used in all textbooks and other published materials. “There are people who say, We are losing our cultural and linguistic memory, that it’s offensive to our cultural history,” Mr. Faustino said. There is also irritation in academic and publishing circles that Portugal has, as per the accord, already implemented the new rules, at considerable trouble and expense, while Brazil, which wanted them in the first place, has yet to do so. Last year, Brazilian President Dilma Rousseff arbitrarily declared her country had another four years to make the changes. “Now the African countries are waiting to see what is going to happen, waiting to see what Brazil does, and if Brazil goes forward they will jump on the boat,” Mr. Faustino said. At the same time, Mr. Faustino noted that the economic crisis and the country’s 17-per-cent unemployment are the main topics of conversation in Portugal today, and few people have the luxury of worrying about the placement of pronouns. Brazilian Portuguese reflects the fact that, until a few years ago, this markedly unequal country had no middle class, only “landlords or slaves,” as the local expression goes. Its language consequently has a tenor many consider more polite than the European incarnation. In Brazil, there is widespread use of a deferential, third-person declension that originates in the country’s grim past. It was unacceptable for slaves and plantation workers to address the “master” in the imperative or the second-person singular, so a form of grammar in which pronouns and cases differ from the colonizer’s language evolved. Because the slaves far outnumbered the masters, this became the dominant idiom. Spanish, spoken in 21 countries across a broad swath of territory, has taken a somewhat more flexible approach, with multiple “standardized” versions. There is one for Spain, another for the south of Latin America, and a largely Mexican influenced one for Central America and the north of Latin America. 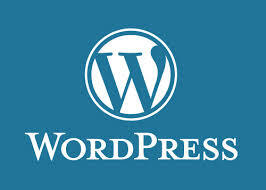 Then there is a fourth version, synthesizing all of these, used by organizations such as the United Nations. Through its Instituto Cervantes, the Spanish government attempts to promote its (grammatically rigid) Spanish throughout the world, but the dynamism of Latin American language has influenced what is spoken in Spain. 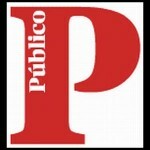 In Portugal today, the government is trying to sell the changes in spelling to which it agreed in the Acordo Ortográfico to its citizens with the argument that the standardization will simplify the global promotion of Portuguese – but Prof. Faustino noted that English does just fine without standardization. “Portuguese will become more relevant on the world stage because Brazil is an economic and cultural superpower – but that will happen organically, it doesn’t depend on these issues of unified spelling,” he said. Luiz Carlos Cagliari, a linguistics professor and expert on orthography in Sao Paulo, says the spelling treaty was unnecessary, since all it did was inflame tensions, and sooner or later everyone would have been using Brazil’s spellings anyway. At the Museum of the Portuguese Language in Sao Paulo, visitors learn about the many roots of Brazilian Portuguese. These include African languages and the dozens spoken by Brazil’s indigenous people, which have influenced the Portuguese of this country. But there are Italian, Japanese, Arabic and other influences, too. And that, said museum educator Camila Marques, is what makes Brazil’s Portuguese so special: It’s already a world language. Lusophone nations include Brazil, Angola, Mozambique, Portugal, Equatorial Guinea, Guinea-Bissau, São Tomé and Príncipe, Cape Verde and Timor-Leste. The language is also spoken in the Chinese-administered territory of Macau, Canada, South Africa, the United States and Venezuela. A treaty signed in 1990 by Lusophone nations to standardize Portuguese spelling. For example, Brazil’s econômico replaces Portugal’s económico. The influence of African and indigenous languages. The Brazilian word for one’s posterior, for example, is the African-derived bunda, or for a child’s, bumbum, pronounced boom-boom. In Portugal, they use cu – which is considered unspeakably rude in Brazil. O artigo é uma sucessão de banalidades e só o último parágrafo suscita um comentário. De facto, quem escreveu este artigo ignora que em Portugal a evolução da língua já consagrou o uso do termo “peida” em substituição de “cu”. Mas de novo se pode ler, não só nas entrelinhas, como era habitual, mas pelo texto todo, que é a tentativa de expansão do Brasil para fora das suas fronteiras, de criar um império só deles, onde se fale e escreva como lá. Os africanos estão à espera do Brasil! Estão de olhos marejados e mãos postas, desejando a ortografia e sintaxe brasileiras. Como argumentos, o Português legítimo é-lhes humilhante porque, imagine-se, usa os pronomes devidos. Talvez também seja humilhante porque conjugar verbos é mais do que o verbo estar e um gerúndio universal. Quando os argumentos de que têm o maior número de falantes não chegam, invoca-se as raízes italianas, tupis, libanesas e japonesas – o Português no Brasil é mais crioulo que o de Portugal e por isso merece ser considerado mais Português. Não tem pés nem cabeça, mas os nossos decisores parece que também não. Quer-me a mim parecer que a tal pressão de que falava o senhor das cagarras e do bolo-rei comido de boca aberta é um eufemismo do sentimento brasileiro de que não temos escolha. Temos e é bem nossa! O mundo há-de perceber (apesar do peso da economia) que o Brasil está cheio de ódio, tem um povo que rejeita a educação e trata a língua como tudo o resto: ao nível do lixo! A nossa Língua é demasiado importante para poder estar refém de decisões mal fundamentadas, reveladoras de ignorância ou de interesses avulsos dos decisores políticos de baixo calibre que actualmente temos. De resto, que credibilidade para falar das Letras Portuguesas pode ter um Governo que tem no seu seio um vigarista que tentou passar-se por licenciado e depois fugiu para o Brasil? O artigo é interessante apesar de algumas ideias não terem grande fundamento, como a que refere Alexandre Costa. Mas não me parece que seja enviesamento, é apenas falta de informação por parte da jornalista. 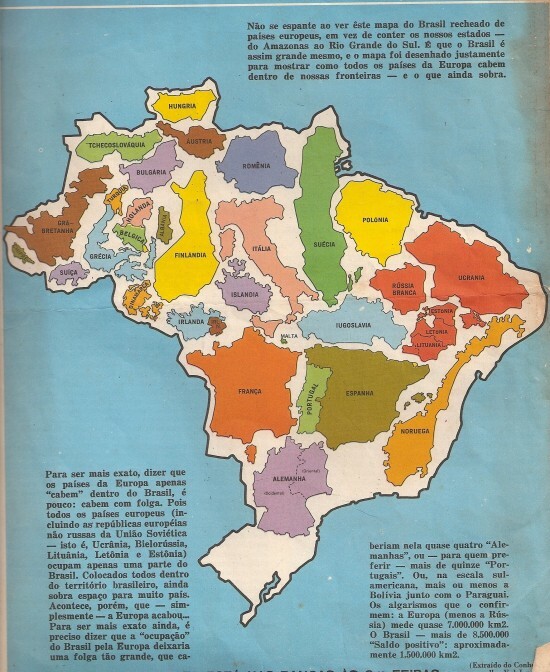 É correspondente na América Latina, por isso as informações que recolhe vêm enviesadas pela perspectiva das pessoas com quem fala na América Latina. Também a ideia peregrina de explicar a evolução do português no Brasil com a escravatura é um puro delírio mas é uma “teoria” popular na América Latina. O essencial parece-me correcto, que é de que o castelhano está bem e recomenda-se sem “standardização” nenhuma. E de que o inglês está bem e recomenda-se sem “standardização” nenhuma. E de que a “standardização” é mal-recebida pela população em geral quer no Brasil que em Portugal. Pois eu creio que se não é enviesamento, revela pelo menos a contaminação do discurso da jornalista pela narrativa vitimista prevalecente em muito do discurso oficial, na América Latina, não só sobre a língua, como – e sobretudo isso – também no que respeita às relações culturais com as antigas metrópoles. Não sabia que a “teoria” explicativa da evolução do português no Brasil, tendo por base a experiência da escravatura, encontra eco noutros países da América Latina, mas não admiraria nada se assim for. Quanto ao resto, estou de acordo consigo.